John Gale joined the IEA Greenhouse Gas R&D Programme in 1999 and managed the Programmes activities on Non-CO2 greenhouse gases, greenhouse gas abatement in energy intensive industries and geological storage of CO2 before becoming General Manager in 2008. As General Manager he is responsible to the IEAGHG Executive Committee for ensuring the programmes activities are operated in accordance with legal requirement and IEAGHG’s technical work programme is delivered to time and budget. In addition to his work with the IEA Greenhouse Gas R&D Programme: he was one of the co-coordinating lead authors on the 2005 IPCC Special Report on CO2 Capture and storage and is currently Editor-in-Chief of the International Journal on Greenhouse Gas Control. In addition, he has been a member of the Technical Advisory Committee to the GCCSI board between 2010 and 2013, Co-Chair of the Steering Committee for GHGT’s, 11, 12 and 13 and has been the Chair of the UKCCSRS’s Independent Advisory Panel. 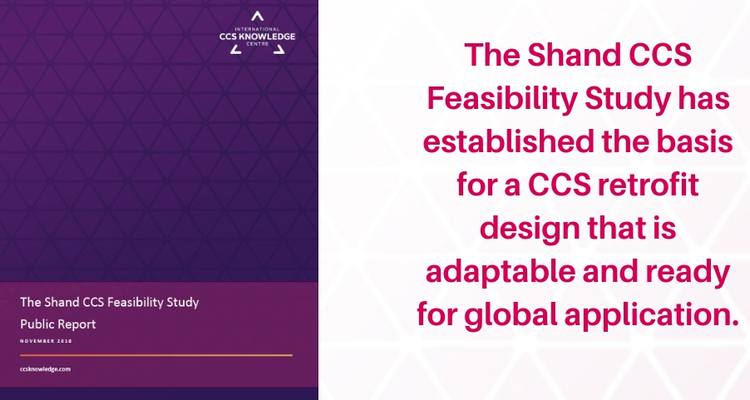 The Shand CCS Feasibility Study study destroys the myth, once and for all, that carbon capture, utilization and Storage (CCUS) in the power sector is not a cost effective mitigation option. The study clearly demonstrates that CCUS on coal can be competitive with natural gas even with the very low gas prices in North America. Numerous analyses by organisation like the International Energy Agency (IEA) and industry players like Shell and Total have shown that CCUS needs to be a critical component of the energy transition that needs to take place to meet the Paris Target of going below 2oC. Although it often reads like it, we are not in a competition between fossil and renewables. Study after study has emphasised that we need all the options in our mitigation tool kit to achieve the Paris agreement targets. CCUS can play a role in reducing emissions in the global power sector especially in countries that rely extensively on coal, and will do for the foreseeable future to meet their energy needs. However, CCUS is not exclusively a coal technology, it can be deployed on natural gas and with biomass to achieve negative emissions. The latter option could become increasingly critical as we approach 2060. CCUS applicability is also not limited to the power sector but will likely play a significant role in decarbonising heavy industry. CCUS can be used to decarbonise natural gas to produce hydrogen for the industrial, domestic and transport sectors. This is not to say that CCUS is the sole solution but it is not a ‘one trick pony’ like nuclear for example. For CCUS to be deployed globally at the scale required to allow the Paris Target of going below 2oC to be achieved then it needs to be cost competitive with other mitigation options. There are now numerous CCUS demonstration projects across the globe confirming the suitability of the technology for decarbonising industry. Some of these industrial projects are cost competitive in their own right. Early mover projects in the power sector like Boundary Dam 3 using CCUS on coal have suggested that the CO2 mitigation cost is higher than is desirable for wide scale deployment. However, the learnings from building such first-of-a-kind plants have shown that the next generation of projects could be built for 30% less using the same capture technology. This represents a significant step forward in reducing the cost of CCUS and removing a major hurdle to its deployment. Now with 67% decrease in captial cost per tonne of CO2 captured, the study by the International CCS Knowledge Centre on the Shand Power plant in Saskatchewan, Canada, takes us to a new level. This first of a kind study shows that by increasing the power plant scale and by taking on board the learnings from pilot scale, testing of second generation capture technology the CO2 mitigation cost can be reduced by a significant 67% compared. This innovative study therefore destroys the myth, once and for all, that CCUS in the power sector is not a cost effective mitigation option. The study also clearly demonstrates that CCUS on coal can be competitive with natural gas even with the very low gas prices in North America. To read the Shand CCS Feasibility Study and/or the compendium document, Summary for Decision Makers, click here.